Karate is both an art and a philosophy. Because each person has a different personality and physical capability, this is reflected in his or her interpretation of Karate. Therefore the Karate Masters founded their own schools over the ages, teaching their own style of ryu. Kyokushinkai is the name given to our ryu, which originated with the legendary Master Masutatsu Oyama – a man of tremendous physical strength and mental resources. Kai – means to meet, join or associate. The symbol of Kyokushinkai is the kanku. The kanku is derived from the kanku kata – the sky gazing form. In this kata the hands are raised to scan the sky, and so the symbol is formed. The points of the kanku represented by the fingers imply the peaks or ultimates. The thick sections represented by the wrists, imply power. The centre represents infinity, implying depth. The whole kanku is based on and enclosed by a circle, representing continuity and a circularity – the basic physical and spiritual principles of Kyokushinkai. The Martial Way is centered in posture. Strive to maintain correct posture at all times. The Martial Way begins with one thousand days and is mastered after ten thousands days of training. In the Marital Arts, introspection begets wisdom. Always see contemplation of your actions as an opportunity to improve. The Martial Arts begin with a point and end in circle. Straight lines stem from this principle. The true essence of the Marital Way can only be realized through experience. Knowing this, learn never to fear its demand. Students will bow and “OSU” upon entering the school itself and upon entering the dojo training hall. Upon entering the dojo, students shall bow and say “OSU” towards the front of the room or “Shinzen” area. Also, an additional bow towards the students already in the room is appropriate. Students should do their best to be on time for class. Those that are late for class will bow to the front of the dojo, say “OSU”. Then kneel in Seiza, (formal knees down seated position), with eyes closed and head lowered in Mokuso and wait to be invited to join the class. Once being instructed to join the class, bow and say “OSU” or “Shisurei Shimasu” (excuse me for disturbing) while still in “Seiza”. Then join at the back of the class, being careful not to walk in-front of others training, especially your seniors. Students shall maintain themselves and their equipment, Do-Gi’s (uniforms), shinpads, gloves, etc, in a clean, well-kept and odour-free manner, and encourage others to do so as well. Only clean white Do-Gi’s are to be worn. Official Kyokushin logo chest patches are permitted on the left chest pocket area of the uniform. Rips or tears on the Do-Gi must be mended promptly. Consistently disheveled uniforms and equipment reflect a lackadaisical attitude towards fellow members and the dojo. Appropriate respect will be shown to all senior ranks and elder members. All students shall stand up and say ‘Osu” when their senior or any black belt enters the room. Prior to addressing or greeting a senior student or instructor, students shall say “osu” and bow accordingly and do the same upon departing. This protocol should be maintained outside of the dojo as well, as we must always appreciate our Senpai. If a member’s rank is unclear, always address as if the member is senior to yourself. When the occasion marks a time to shake hands with one another use two hands to show trust and humility and say “Osu”. This applies when outside the dojo as well and especially to senior ranks. Students shall answer their instructor’s or senior’s questions or instructions with a loud “Osu” and proceed with an immediate reaction to his or her command. A slow or indifferent response is discourteous. During class, students shall maintain focus on the techniques at hand and not allow their minds or eyes to wander. The utmost respect and sincere appreciation shall be given to the instructor and fellow students at all times. 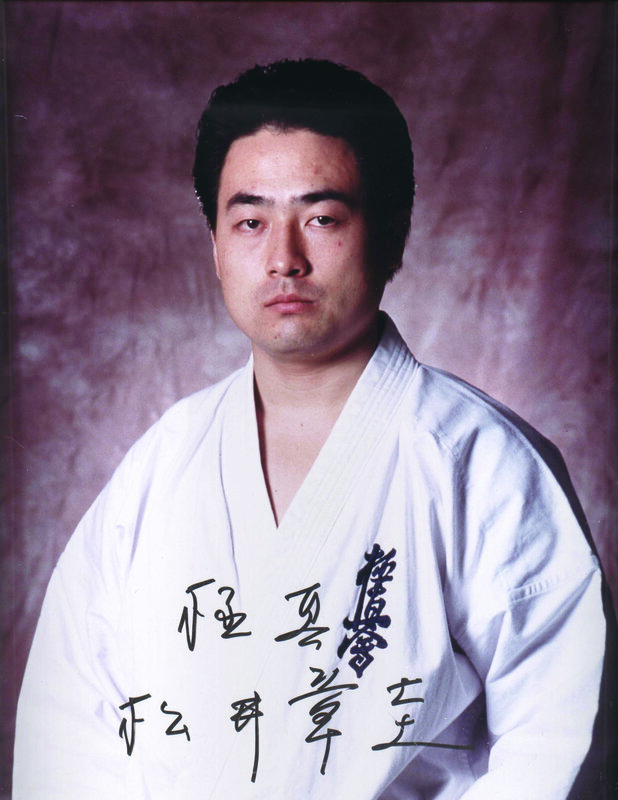 Do not enter upon Kyokushin training without the seriousness it deserves. At times during class, students will be permitted to sit and relax, meaning relax from “Seiza” formal position, and sit in “Anza” (Indian style) relaxed position. During these times, refrain from fidgeting, chatting or otherwise disturbing an ongoing class or lecture. Students shall not leave class unless permission is granted. If an emergency arises, and you must leave immediately, do so in a respectful manner and explain your exit to the instructor as soon as possible. To prevent possible injury, students shall not wear jewelry, watches, or other sharp adornments during class. Prescription eyeglasses are permitted; however, during Kumite (free-fighting), their removal or the use of contact lenses is strongly recommended, as are the use of shinpads, gloves, breast and groin cups. Traditionally the training hall is a revered place; therefore students shall not wear hats or caps or use foul language on the school premises. Also, shoes are not permitted on the dojo training floor. No food, gum or beverages likewise will be permitted. No eating in the dojo. No smoking is permitted anywhere on the premises. All students shall assist in the daily clean-up after class. In general, students should care for their training hall as a cherished and special place. Students should respect the camaraderie shared at the Dojo and not undermine the true way of Kyokushin with unsupportive, discouraging or malicious behaviour. Nor should they bring negative feelings into free-fighting, where an atmosphere for injury could be inadvertently created. All members shall refrain from idle gossip and disparaging remarks about other students, schools or styles of Martial Arts. Students wishing to participate in Kyokushin tournaments and events should consult with the Sensei prior to application. Students wishing to visit other Kyokushin schools shall request permission from their Sensei first. Students wishing to train at an affiliate Kyokushin school must have a valid IKO membership card and obtain a letter of recommendation from the Sensei to bring along with them. Once at the affiliate school, students will show the utmost courtesy and humility to the affiliate members and instructor. All students shall strive to conduct themselves, inside and outside of the Dojo, in such a way as to not reflect poorly on the IKO Kyokushinkaikan. Most assuredly, students shall not use the techniques studied in class to intentionally injure any person, except where their life or the lives of their loved ones are imminently in danger. 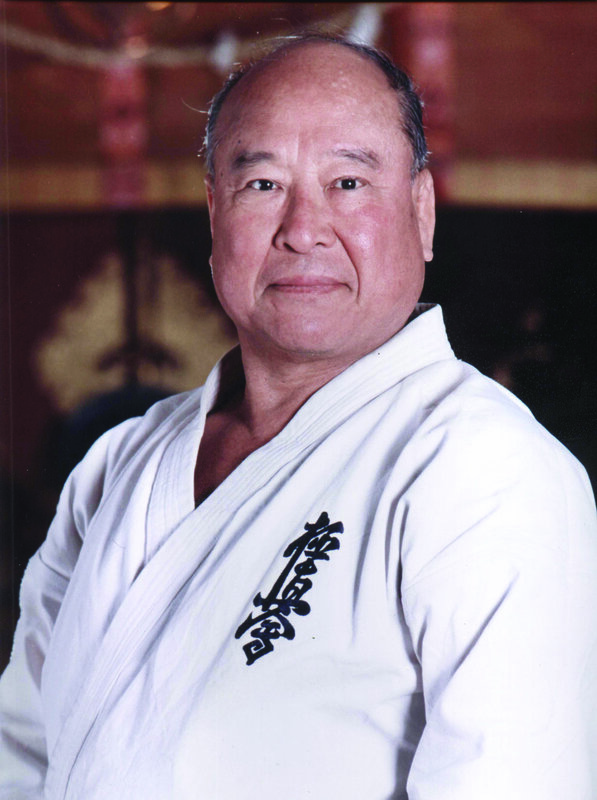 The Kyokushin philosophy is based on the rigid discipline of the practitioner’s acts, on the understanding of the limitations of companions and opponents, on the respect to parents and superiors, and on the loyalty to its ideals. The practitioner of Kyokushin must not measure efforts to improve him/herself and must not compare him/herself with the less favoured to justify his/her failings. He/she must not only know, but also practice all his/her knowledge. Learning Kyokushin requires 1000 days, but to understand all its essence, at least 10,000 days are required. Who opts for Kyokushin must have the strength to surpass any obstacle, without change of mind, until he/she reaches his/her objective. A good example for the practitioner to follow is that of the tea-kettle with water: When the fire heats the water to the boiling point, we have to keep it lighted with the same intensity, because if we reduce its flame, the water gets cold. It is not enough to boil the water, we have to keep it boiling all the time. Osu means patience, respect and appreciation. In order to develop a strong body and spirit it is necessary to undergo rigorous training. This is very demanding, because you must push yourself to what you believe to be your limit, and you want to stop to give up. When you reach this point you must fight yourself and your weakness and you must win. To do this you must learn to persevere but above all you must learn to be patient. This is OSU!! The reason you subject yourself to hard training is because you care about yourself and to care about yourself is to respect yourself. This self-respect evolves and expands to become respect for your instructor and fellow students. When you enter the dojo you bow and say “Osu”. This means you respect your dojo and the time you spend training there. This feeling of respect is OSU! During training you push yourself as hard as possible because you respect yourself. When you finish you bow to your instructor and fellow students and say “Osu” once more. You do this out of appreciation. This feeling of appreciation is OSU! Hitotsu, wareware wa, shitsujitsu goken o motte, jiko no seishin o kanyo suru koto.